The CNA often comes across patients belonging to different cultures. It is important to be aware of the patients’ cultural beliefs and behaviors as they may have certain expectations from the healthcare team. The patients may also have a different way of viewing their illness. For instance, a patient belonging to African culture may believe that seizures have a supernatural cause and may refuse to accept medications or hospital treatment. He may refuse to accept the scientific explanation of the condition and may demand a shaman to perform a healing ritual. Another example can be an Asian patient who would involve family members in the plan of care. This behavior is different from the western culture where individuals prefer to remain independent of others and do not want to involve their family members in the plan of care. Some patients may use prayers, amulets, and herbs to ward off evil spirits that cause pain and suffering. The CNA should view such behaviors in the light of the patient’s cultural beliefs and should not dismiss them. Accepting and respecting such differences will ensure that the CNA treats the patients with dignity. Other than cultural differences, there may be noticeable spiritual differences that can affect the way patients view their lives. Spirituality is the highest level of human needs and refers to the ability of a person to connect with something larger than themselves, a higher power or a supreme being. A spiritually healthy person will find hope in the future. On the other hand, a person with spiritual distress may find the future hopeless. In such cases, the patient’s health may deteriorate faster too. The patients should be given the freedom and opportunity to engage in spiritual practices if they so desire. The CNA should build a rapport with the patients, to understand their spiritual needs. 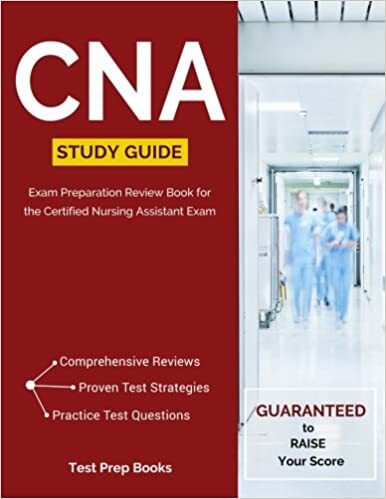 The CNAs should not judge the patient and instead show respect towards any religious or spiritual activities that may differ from those of the CNAs. The CNAs can also share their own spiritual views that may inculcate hope and confidence in the patient. However, they should not impose their beliefs on the patient. In case the CNA is uncomfortable about participating any rituals, they should report it to the supervisor, who may then intervene and arrange for a volunteer to assist in the ritual.